Happy Monday! Did everyone get their shopping and wrapping done this weekend? I still have a bit of wrapping to do, but I'm getting there. I'm such a procrastinator and can't get motivated to do anything other than veg out on the couch with wine and a good Christmas movie. My all time favorite is Prancer and I'm pretty sure I've watched it at least three times already. I have a feeling I've got a few long nights ahead of me, but it will all be worth it when I see the excitement on my kids faces Christmas morning. It's going to be pretty quiet around the blog this week, but I do have two quick projects (if you even want to call them projects) to share before I take a break to spend time with my family. 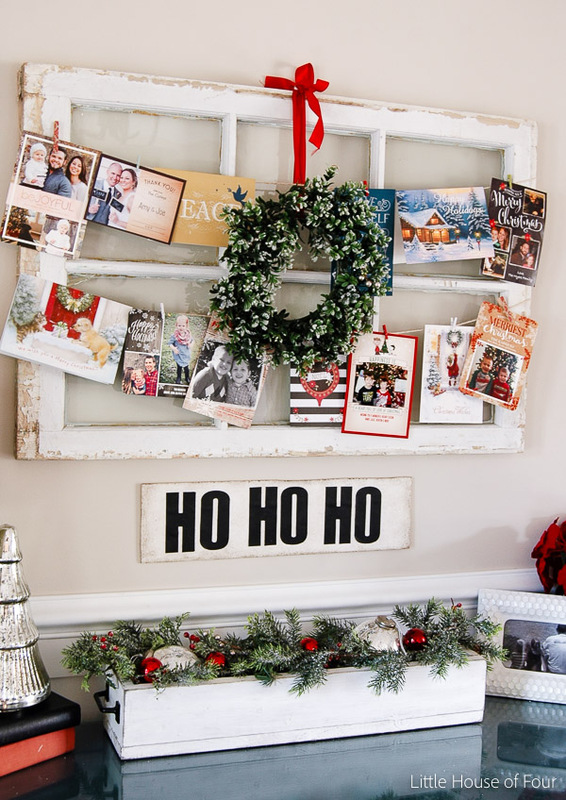 I LOVE receiving Christmas cards and hate the thought of having them just sit in a box or piled on the counter. I knew this year I wanted to have them displayed around my home and the old window in the dining room was the perfect place. All you need is jute, tape and small clothes pins. 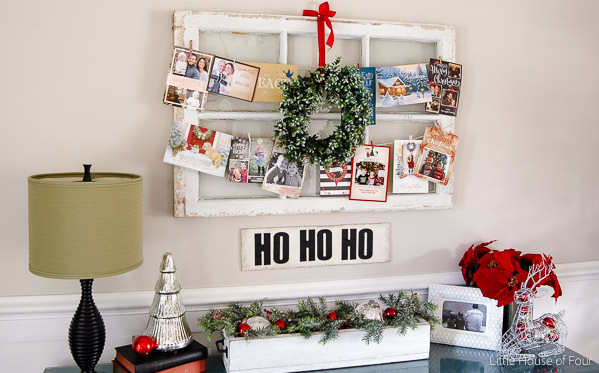 If you don't have an old window a mirror or frame would work just as well. 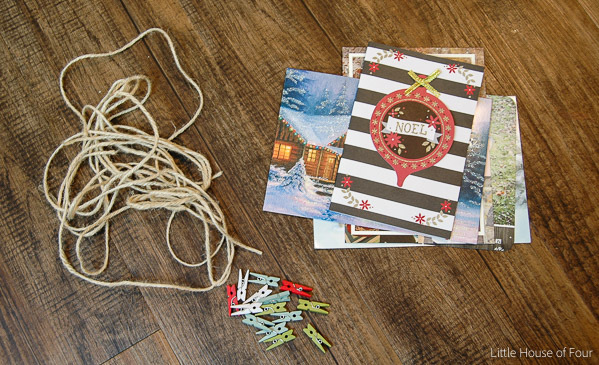 All I did was string the jute across the window, attach with tape and add the beautiful cards. Every time we eat dinner or walk through the dining room we get to see the beautiful cards that our family and friends sent. I love seeing the smiling faces of my favorite little ones and will probably keep the cards up through January. I just don't think I'll be able to bring myself to take them down. 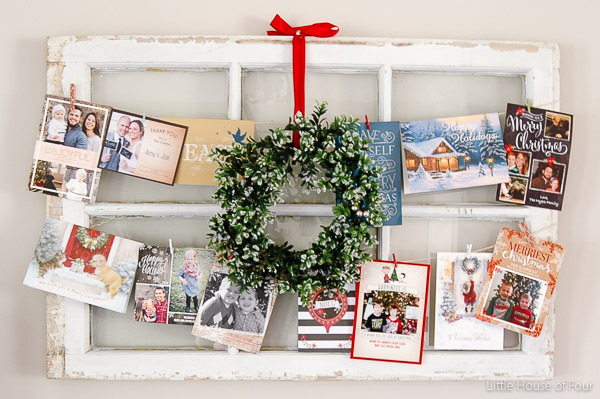 How do you display your holiday cards? 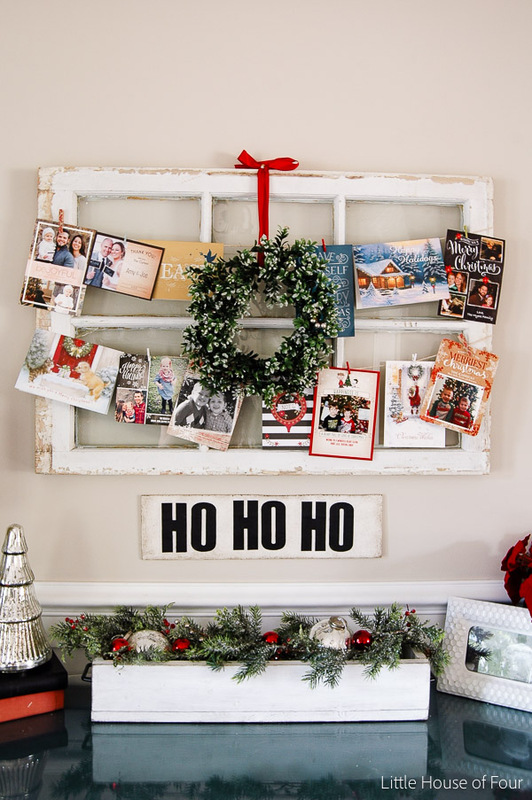 Do you hang them up or display them on a table or counter? Love, love, love this, Katie! So cute!